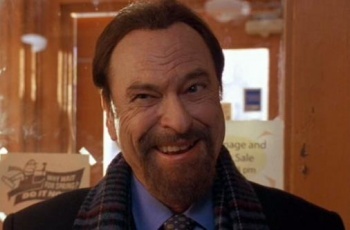 Rip Torn won't go to jail for being blitzed, in a bank, with a loaded gun, but will probably think twice before doing it again. In January 2010, actor and comedian Rip Torn drunkenly ambled into a Litchfield, Connecticut bank with a loaded revolver. He was arrested, and plead guilty this week to charges of reckless endangerment, criminal trespass, criminal mischief, and illegally carrying a handgun. According to The New York Times, Torn's lawyer simply said "the actor was thankful that no one had been injured and that he had not been sent to jail." Thanks to this guilty plea, Torn will serve a two-and-a-half year suspended sentence and three years' probation. As a condition of that probation, he will have to submit to random drug and alcohol testing. This is not Torn's first alcohol-related offense; he has previously been placed on probation, fined, and had his license suspended, all on drunk-driving charges. The 79-year old Torn has worked in television and movies since 1956, and has an Oscar nomination and an Emmy win under his belt. He's currently filming Men In Black III, reprising his role as Zed, but to me he'll always be Patches O'Houlihan, the wrench-hurling coach my father loves to imitate.